In 2002, seven circus artists came together to found The 7 Fingers (Les 7 doigts) collective. At once unified and multifaceted, this Montreal troupe calls upon more than a collective century of performance experience to expand the horizons of movement and visual spectacle through imaginative, immersive, and athletic productions. Its name is a twist on a French idiom (“the five fingers of the hand”), which describes distinct parts working together in unity. In Réversible, the company travels to the past—performers dig through the histories of their families, unveiling bygone stories and skeletons in closets that reflect, in some way or another, how they experience life today. Through a unique, riveting mix of theatre, circus, dance, music and acrobatics, Réversible is dedicated to a generation who forged the world that we live in today and whose stories might hold the key to a better tomorrow. 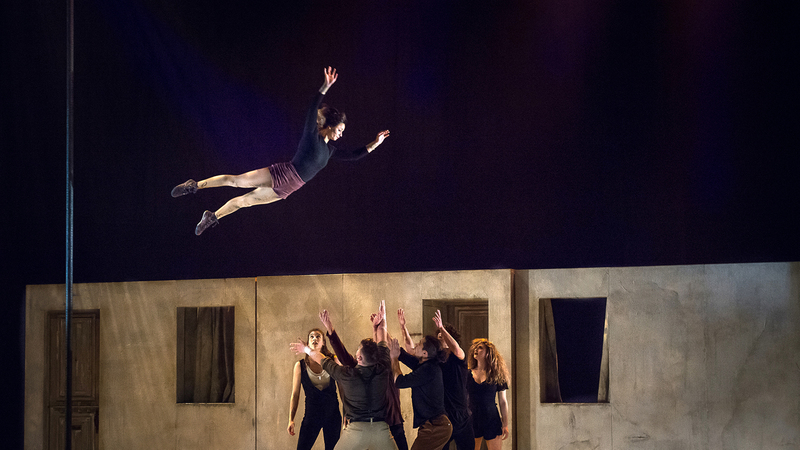 Be prepared for the magic of contemporary circus: moments of pure grace yielding to rushes of adrenaline, affirming that “the collective virtuosity of this troupe is something to see—and, crucially, to feel” (Boston Globe).